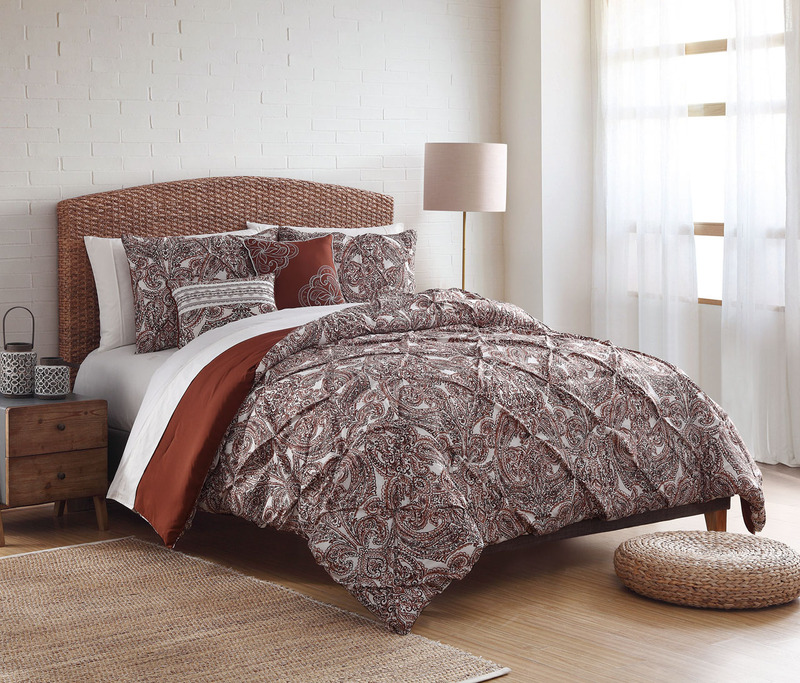 Give your bedroom a trendy look with this Bristol Pucker comforter set. It features paisley print with pin tuck and pleated details in tan and ivory. This beautiful bedding brings a chic appeal to your decor. A 300TC 100% polyester sheet set is included. Give your bedroom a trendy look with this Bristol Pucker comforter set. It features paisley print with pin tuck and pleated details in tan and ivory. This beautiful bedding brings a chic appeal to your decor. A microfiber 100% polyester sheet set is included. Give your bedroom a trendy look with this Bristol Pucker comforter set. It features paisley print with pin tuck and pleated details in tan and ivory. This beautiful bedding brings a chic appeal to your decor. A 300TC 100% cotton sheet set is included.